You may have already read about why I decided to build Nestiny, but here are a few more details as to what led me to my “Aha” moment. It all really came to light when I sat down and began analyzing how I was approaching my business. I couldn’t help but notice that all my agent friends were dealing with varying levels of the same issues. And being what I’d like to consider a fairly observant, aware person who has the fortunate (and sometimes unfortunate) character trait of empathy- I started really watching the patterns around me in my own business, in my fellow agents and the industry as a whole. And as I took that birds-eye view, I quickly noticed I wasn’t alone. I would spend many late nights in my real estate office (frequently the last one there) working my own business but also proactively trying to document and frame what was going on. Maybe I had a different outlook than many of my peers who were just doing their best to make a living. After all, it was the recession so times were tough for full time agents. 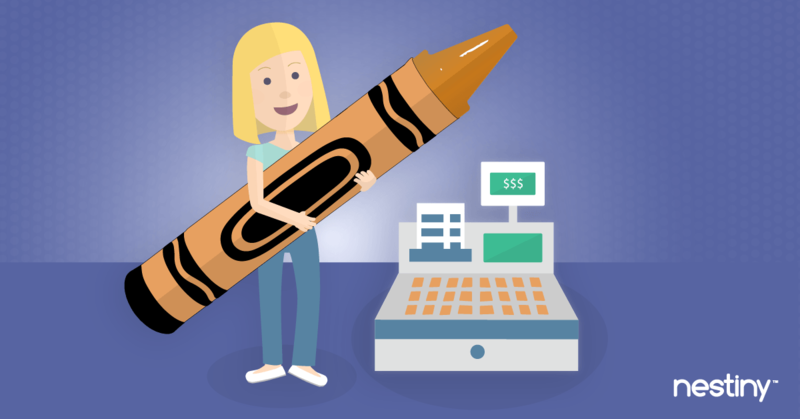 My favorite toys as a kid were crayons and cash registers. Crayons because I always loved to create and loved color. Period. And cash registers not because of money (haha) but because it was the satisfaction of completing something to serve people. And okay, okay... I loved to push buttons and pretend I was waitress — which coincidentally became my very first job. LOL. Thanks to my family for all the practice! Speaking of family, I came from an entrepreneurial one in the architecture and construction fields so I’d been touring homes under construction since I was a little kid. (Ahh, the smell of freshly cut lumber!) But more than that, homes had always been a passion of mine but also were nostalgic for me since it was an industry my family had a strong legacy in. But let’s fast forward a few years. With my corporate software background prior to real estate, I was helping heavy-hitter, major corporations and universities streamline their workflows and automate their business processes. That experience really opened my eyes to how much productivity and efficiency could be gained from closely examining your business processes and automating them. Remember that I said I was observing patterns in my own business and the industry as a whole? I began paying attention to my interactions and conversations with my clients. I looked for repetitive things I was doing and questions I was answering. I noticed the frequency of them. I documented the most common “speed bumps” my clients were struggling with during transactions. I researched our industry. I noticed a lot of websites that were making my clients confused before I even met them. I watched my client’s behavior and when they were deciding to engage with me. I listened to different brokers, thought leaders and real estate coaches touting their approaches with how to lead generate, make sales and become a top producer. I did a lot of quiet, undetected listening actually - to my own clients, my agent friends, my office staff, my vendors and brokers. And all those late nights spent documenting, analyzing and researching culminated in my “Aha” moment! The root cause of most of our problems stemmed from the lack of the right education. The Internet had helped us in certain ways but in many cases, our clients were going online and looking at homes first before they even knew what they needed or wanted. The Internet home search sites had put the horse before the cart. Uh oh. And there was such a looming gap online where the entire “consultative” piece to help a client figure out what mattered most to them, what to expect during the process and what they could potentially afford was nowhere to be found. There was no “needs analysis or discovery” anymore. The first third of the process of buying a home was being completely skipped online. That was the downside of the Internet innovation. The agent was no longer the first stop. 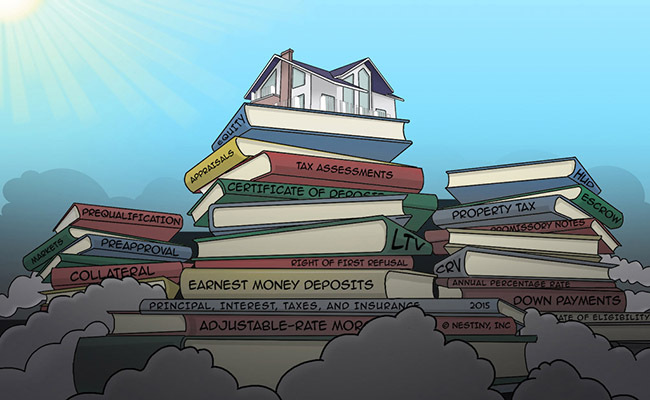 Buying or selling a home is complicated. 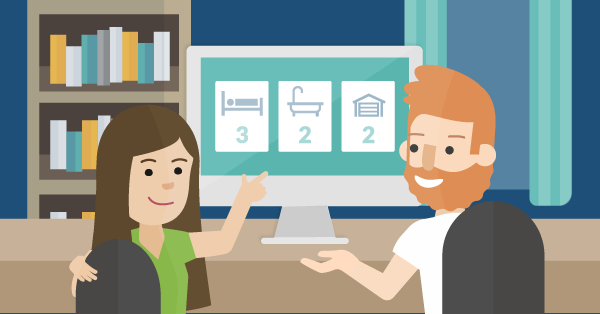 Why hadn’t anyone created a guided journey to help consumers navigate from A-Z online yet? To me, it was so obvious and a total oversight. It was the catalyst for building Nestiny. So the epiphany that truly changed everything for me came from the realization that at the end of the day we’re really in the education business. Did you realize that? When I did, I was knee-deep in clients and wasn’t sure how to flip into this mode of thinking. I knew I wanted to figure out a solution, but not just for myself. I saw my fellow agents going through the same struggles day in and day out, so why not solve the problem for everyone? That’s what I set out to do. I wanted to put the horse back in front of the cart again on the Internet. After all, that’s where everyone was going first… no need to dispute that. I wanted to build a destination website that we would be proud to send our clients to for safe, trusted advice in a friendly, hassle-free environment. And I wanted to give us a way to quickly collaborate and connect with our clients in a 24/7 digital format without a lot of heavy lifting. I wanted to eliminate all the repetitive tasks we do in qualifying our clients. So no more phone calls asking, “So how many bedrooms and baths would you like?” There’s no reason for that in this day and age. In this on-demand world, our clients want information and they want it now but there’s no reason they can’t do it at their own pace and convenience. I wanted to build a site to empower consumers with better information to keep them on track so that when they are ready for you that you didn’t face a ton of rework to reset their expectations. And I wanted to help you optimize and maximize your time spent doing lead generation. I wanted to give you a way to quickly know who to spend your time on next. Having actionable insights like that will make you super efficient and save you money and the opportunity costs of pursuing the wrong client at the wrong time! Queue: our Ready Report. And I wanted to introduce you to a whole new generation of future homeowners who were taking the time to actually get prepared online and do a bit of homework on their own first. Let’s let them raise their hands when they’re ready to engage with you rather than us trying to force ourselves on them in sales mode. Let’s be the educators they deserve. And we plan to help you out with that in a really fun, impressive and slick way! We wanted to create a happy place on the Internet for your future clients. We hope they “binge watch” as much of our Funiversity as possible which will help you inherit a more educated client. Let’s start acting like the educators we really are and shed the “sales” stereotypes. If you’re being helpful, you will attract all the right clients by doing the right thing. And to help you out further, we have some amazingly revolutionary things in store for both our members and agents so teaming up with us will keep boosting your digital relevance as we keep growing! These are turbulent times in real estate and we’re here to fight for the “right” way to do business in a modern world. And once you start interacting with my incredibly caring, talented and mission-focused team — you’ll see exactly what I’m talking about. We hope you'll hop aboard our noble mission — Just know that we realize that Nestiny’s heartbeat of empowering consumers is not possible without YOU!